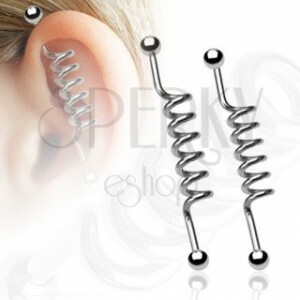 An ear piercing twisted in spiral shape. 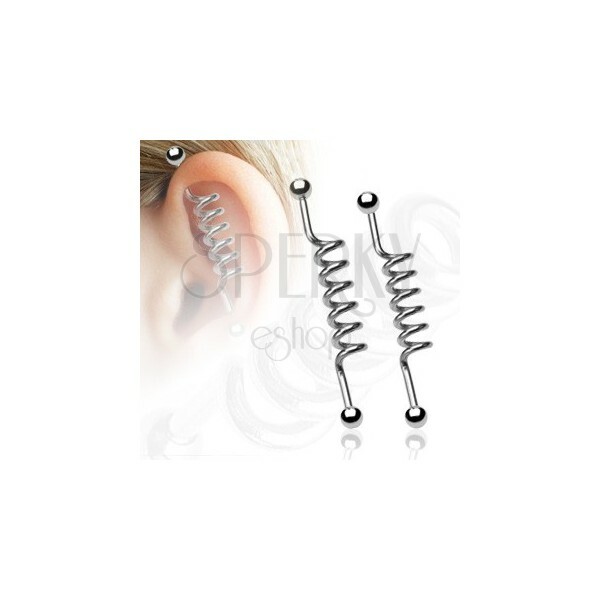 A silver coloured ear piercing with a spiral shaped middle part, ball heads. The given length is without ball heads.